I understand that by submitting this image(s) I hereby authorize Cycle Source Magazine to publish the photographs taken of me, and my name, for use in the Cycle Source Magazine printed publications and website. I acknowledge that since my participation in publications and websites produced by Cycle Source Magazine is voluntary, I will receive no financial compensation. 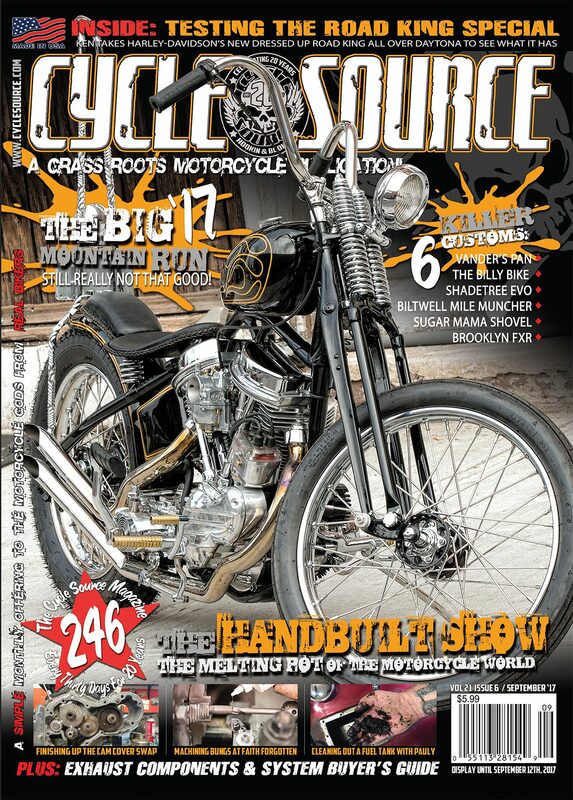 I further agree that my participation in any publication and website produced by Cycle Source Magazine confers upon me no rights of ownership whatsoever. I release Cycle Source Magazine, its contractors and its employees from liability for any claims by me or any third party in connection with my participation.